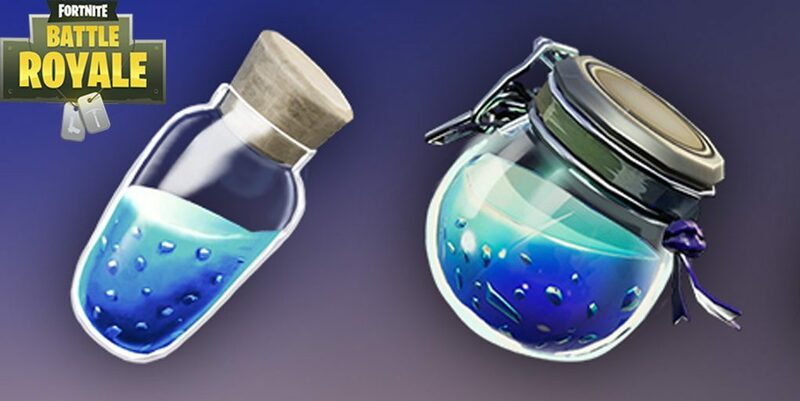 Fortnite is often updated with new weapons and items, however, they have seemingly created a shortage in shield potions. Update 7.20 bought the new scoper revolver into Fortnite along with the re-addition of glider redeploy but in item-form. Some Fortnite fans are claiming that the new glider redeploy item stack is much more common and is creating a shortage of shields. It is believed that Epic did not adjust the drop rates for items to accommodate for the larger number glider redeploy items. Players without any shield are left at half the health and ultimately become an easy target for other players. Some people believe that Epic should adjust the drop rates for shields, while others have a different solution – add another item slot in chests. One approach to the shield shortage would be to add another item slot in chests and supply drops to make room for the possibility of gliders. Epic could also implement that gameplay mechanic that they added in the in-game Pop Up Cup tournaments, which awards players with 50 health or shield for each eliminated opponent. There has been no official statement by Epic regarding the ‘shield shortage’, but we will be sure to keep you updated!